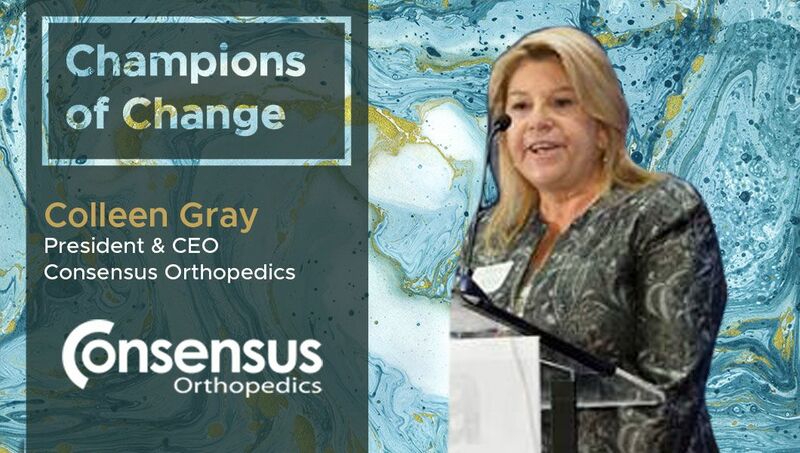 Colleen Gray: Consensus Orthopedics was founded in 1992. We are a privately held company funded by venture capital, private equity and other financial type investors. Historically, our revenue stream has been generated by the sale of hip and knee implants. We do business in several countries but over 80% of revenues are in the US market. About 3 years ago we started on the development of our new TracPatch product. TracPatch is an interactive surface sensor patient monitoring system for pre and post-operative total knee replacements, ACL, Spine and other orthopedic procedures. Colleen Gray: Historically, orthopedics has been behind other medical specialties in adopting technology and using data to transition to evidence-based care. Over the past couple of years the adoption rate of technology in orthopedics has increased significantly. Colleen Gray: Due to US demographics and forecasted need, our industry must transition to using objective data collected in real-time and aggregated into relevant cohorts to transition to evidence-based care that will lead to lower costs and better patient outcomes. TDE: Have you used technology for managing a) field team operations, b) sales/channel management, c) shipment tracking, d) employee engagement, e) shop floor operations or f) customer retention? What has been your experience? Colleen Gray: Yes to some degree in all of those areas. Although as a small company we focus most of our financial resources on product development and product launches. Colleen Gray: Not integrated. We do not currently have a customer portal although some key information is available for download with a password. Colleen Gray: We are not paperless across all of the functions at Consensus. Colleen Gray: Product development and regulatory compliance are the two areas we are focusing on. Colleen Gray: We have an in-house analytics package developed by a member of our finance team that gives us visibility of key metrics. Colleen Gray: AdvaMed, Orthopedics Today, LinkedIn, Bone Zone, industry meetings.